Want to save hours of time this year? We thought so. Which is why we created the duplication feature. Marketers tend to run similar campaigns weekly, monthly and quarterly. Wouldn’t it be nice to have repeatable workflows at your fingertips without having to start from scratch every time? Again, we thought so. 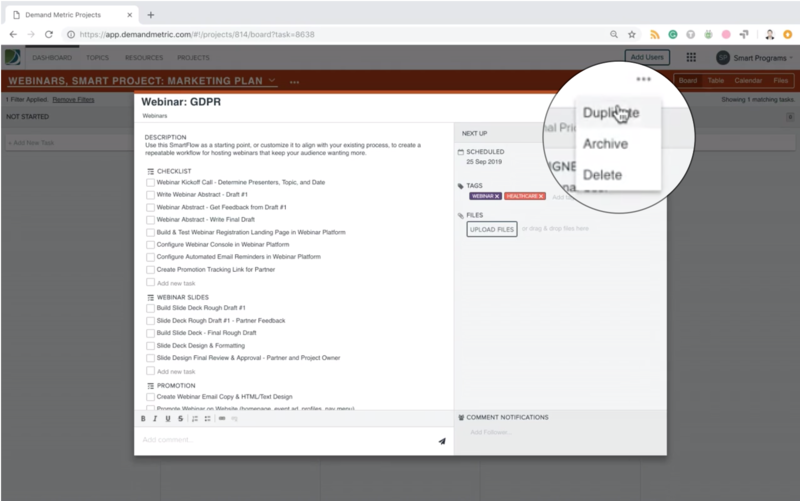 Let’s say you’ve created a task card for a webinar and have taken the time to build out your entire checklist - all the different tasks associated with getting a good webinar out the door. 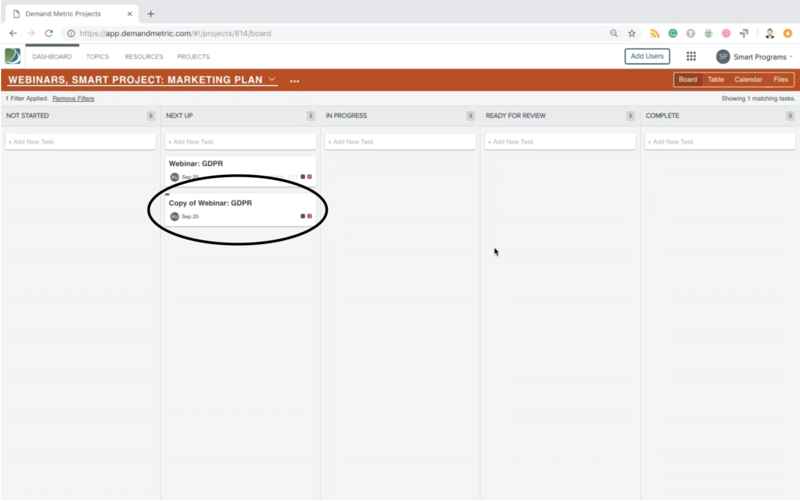 If you’d like to reuse this amazing workflow that you’ve created for your next webinar, simply click on the task options (the three dots at top right of task card) and select Duplicate. This will spin up an exact copy of the webinar task card, complete with all the items in your checklist. 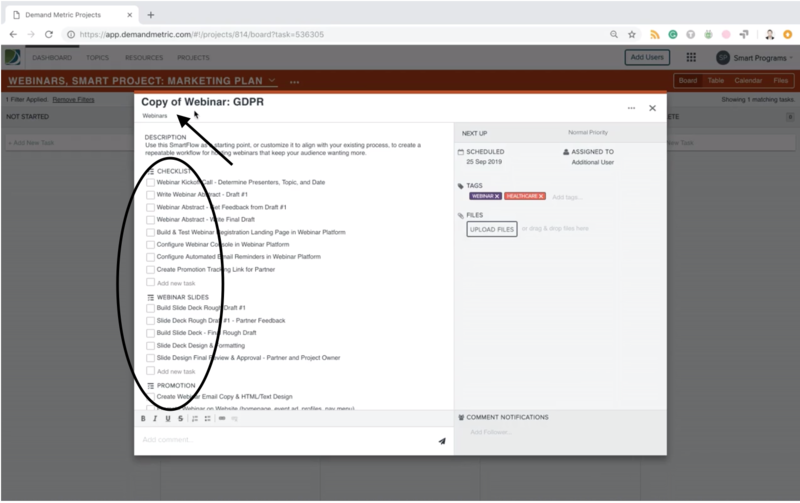 Now all you have to do is go in and rename the webinar, and you’re off the races! Learn how to use our filters to sort and keep track of all your projects.